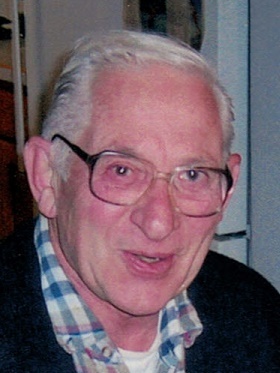 Obituary for Anthony J. Baidinger | Zahoran Funeral Home, Inc.
SOUTH BEND – Anthony J. Baidinger, 92, passed away at 4:45pm Wednesday, January 30, 2019 in Lowell Health Care. Anthony was born on October 9, 1926 in South Bend to Tony and Elizabeth (Winter) Baidinger. He was a retired tool & die maker. On September 23, 1950 in Chicago, he married the former Emma Taicsich, she died on October 16, 2001. Anthony was also preceded in death by a brother Robert Baidinger. Surviving are 2 sons Robert (Irene) Baidinger of Crown Point, IN and Ronald Baidinger of Chattanooga, TN, 3 grandchildren Daniel (Julie) Baidinger, Patrick (Courtney) Baidinger and Mitchell (Margot) Baidinger and 6 great-grandchildren Hudson, Carson, Emma, Mitchell, Solomon, and Landon. Funeral services will be celebrated at 12:00pm Saturday, February 9, 2019 in the Zahoran Funeral Home, 1826 Kemble Avenue. Cremation will follow with burial in Sacred Heart Cemetery at a later date. Family and friend may gather from 10:00am until services in the funeral home.